BATAVIA, Ohio – Interested in learning more about county government? Have you ever seen a K-9 team in action? Do you want to find out more about the county’s Opiate Task Force? If so, please join us in April during National County Government Month. Clermont County will hold several open houses and activities during the month. The public is invited and is asked to register at https://clermontcountyohio.gov//national-county-government-month or call Kathleen Williams at 513.732.7597, or email her at kwilliams@clermontcountyohio.gov. 10 a.m.-noon: Nest Fest at Sycamore Park. Learn how to identify bird eggs and nests, use your “owl eyes” for our egg hunt and meet birds of prey up close thanks to our friends at RAPTOR Inc.
1-2 p.m.: Meet the folks at the Clermont Animal CARE Humane Society animal shelter, 4025 Filager Road, Batavia. The new managers of the animal shelter will talk about their philosophy and initiatives. You can also meet the dogs and cats available for adoption. 2-3:30 p.m.: Join Clermont County’s Opiate Task Force as it celebrates Ohio’s ‘A Week of Appreciation,’ Batavia Township Community Center. Learn more about the task force’s accomplishments, initiatives and resources as it thanks those who have been on the front lines of fighting this epidemic. Light refreshments. 10 a.m. – 4 p.m.: Help the Clermont County Park District celebrate spring and National County Government Month with the season-opening event at Chilo Lock 34 Park. We’ll have food, fun and special guests on every floor of the Visitors Center from noon to 3 p.m. Enjoy the playground, hike the trails and watch the mighty Ohio River from the boat ramp or the observation deck all day long. 2-3 p.m.: Public Health is more than just flu shots. Visit your Public Health officials at the Clermont County Public Health Nursing Division to see what it takes to protect the health of Clermont County and its residents. Birth certificates, flu shots, septic system inspections, plumbing permits, restaurant inspections, WIC, free car seats for needy families, and reducing drug overdoses in the community are just a few of the things that Public Health does. Stop by for an open house and talk to your public health department. 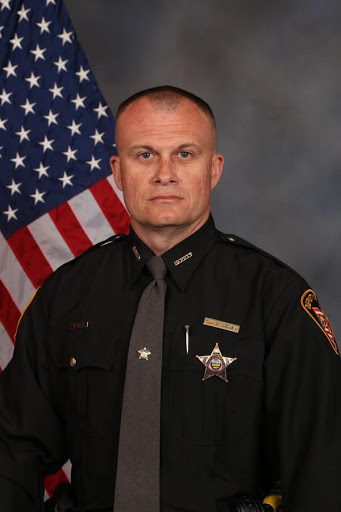 6 p.m.-7:30 p.m.: Tour the Sheriff’s Office. See the Crime Lab. In the parking lot, see a demonstration by the K-9 unit, and the Special Response Team – including a robot used in dangerous situations. 4-6 p.m.: Learn about services offered by the Clermont County Board of Developmental Disabilities, as well as other agencies in the Tri-State area that serve children and adults with disabilities. Members of the Clermont County Voices self-advocacy group will be available to give facility tours and answer questions about the challenges they have faced in their everyday lives. Thanks to a $12,000 grant, Clermont County Public Health will be conducting mosquito surveys throughout the county and working to decrease the mosquito population this summer. 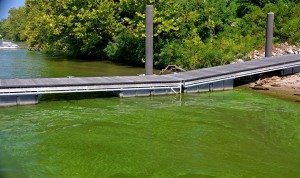 The money for the grant comes from the Ohio Environmental Protection Agency’s Mosquito Control Grant. The Mosquito Control Grant Program provides money to public agencies to minimize the potential for an outbreak of mosquito-borne viruses like Zika, West Nile, and La Crosse Encephalitis. The grant provides a summer intern to set mosquito traps at four locations throughout Clermont County. Two locations are along the Ohio River, one is along the Little Miami River, and the fourth location will move throughout the county. All mosquitos trapped will be sent to an Ohio Department of Health laboratory to identify the species and see if they are carrying, or are capable of transmitting West Nile Virus, Zika, or La Crosse Encephalitis. “Only certain types of mosquitos can transmit Zika or West Nile,” said Health Commissioner Julianne Nesbit. According to the Ohio Department of Health, there were 17 human cases of West Nile Virus in Ohio in 2016. Two of those were in Clermont County. Mosquitos lay their eggs in stagnant water and will use bird baths, buckets, or other containers that hold water as their breeding sites. “If you don’t give them any places to lay eggs, you won’t have as many mosquitos to worry about,” said Nesbit. 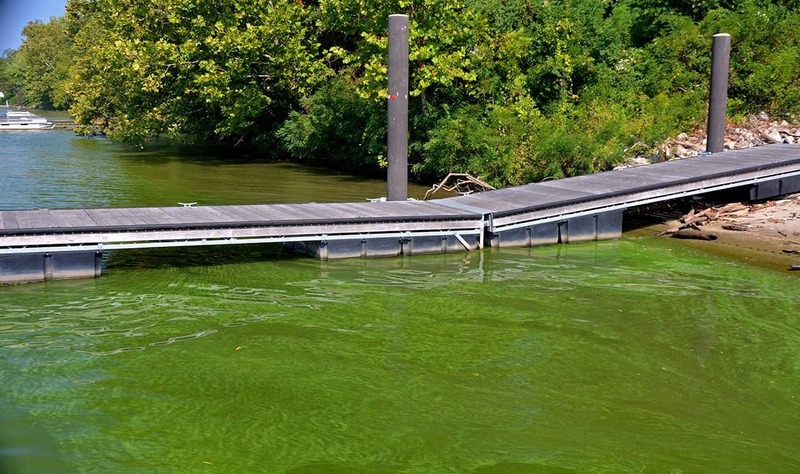 The best way to prevent the spread of these diseases is to wear insect repellant, or long sleeves and pants, and to eliminate standing water on your property,” said Nesbit. For more information on mosquitos, visit www.ccphohio.org. 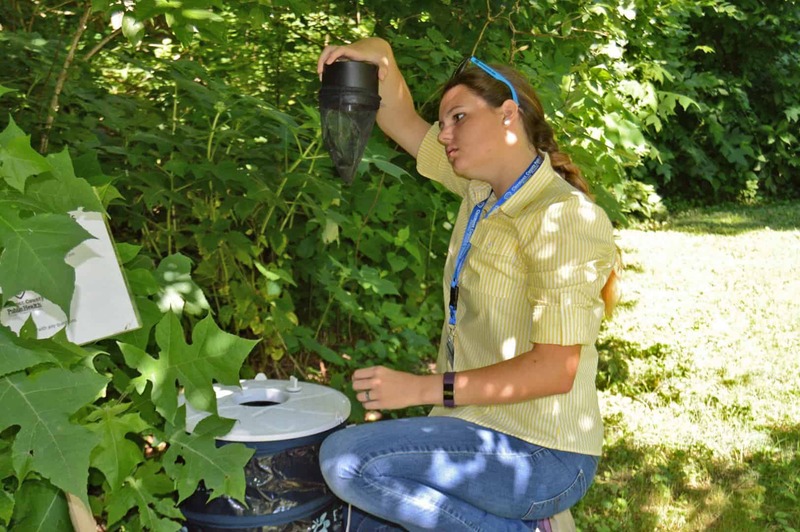 Attached photo: Kate Woods, a summer intern with Clermont County Public Health checks a mosquito trap. A brown bat is held in a gloved hand. These types of bats are common spreaders of rabies. BATAVIA, Ohio (Aug. 11, 2016) – A Clermont County woman was recently bitten by a bat that was discovered in her home. The bat was captured and brought to Clermont County Public Health to be tested. An Ohio Department of Health laboratory tested the bat and found it had rabies. The woman is undergoing treatment and should be fine. 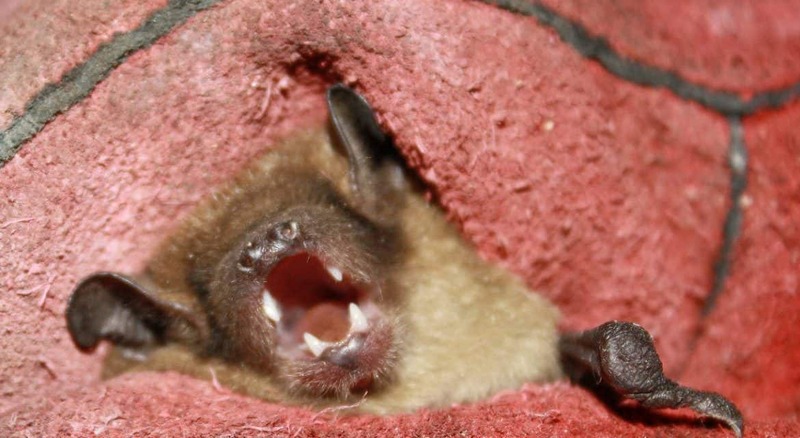 The last time rabies was found in Clermont County was in 2013 when it was also discovered in a bat. Rabies can be carried and spread by a number of wild animals, but bats and raccoons make up the majority of rabies cases in Ohio. In 2015, there were 24 confirmed rabies cases in the state. The rabies virus is spread through the saliva of an infected animal and affects the central nervous system. Once infected, the virus will almost always cause death. However, human rabies cases in the United States are extremely rare because of pet vaccinations and anti-rabies treatment. In cases where the biting animal cannot be captured for quarantine or testing, the bite victim is referred to their physician to be evaluated for post-exposure rabies treatment. If warranted, rabies treatment should begin as soon as reasonably possible after a bite to maximize effectiveness. 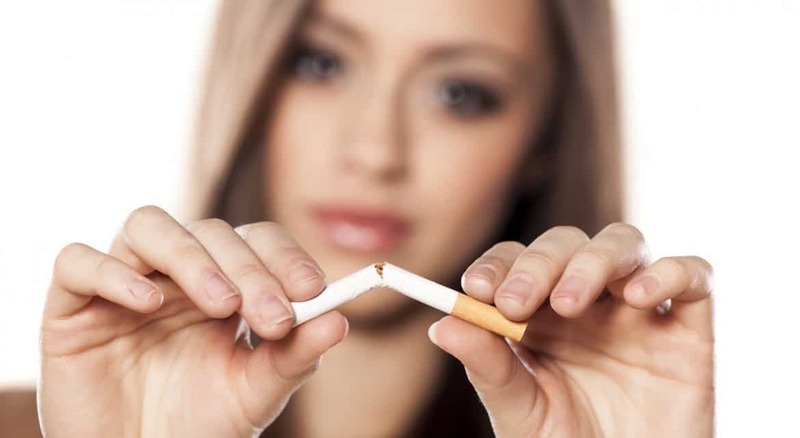 Treatment can be initiated through any hospital emergency room. Because of their nocturnal lifestyle, and the fact that they fly, physical encounters with bats are rare. However, Perry warns that “bats that are seen during the day or are unable to fly are more likely to be rabid.” Even though bat encounters with people do happen, pets are still more likely to be exposed or bitten by a bat, or other wild animal, so keeping your pet current on its rabies vaccinations is important. If a bat is found in your home, careful evaluation for possible exposure should be done. Because a bat bite may be so small that it could go undetected, rabies treatment should be considered if the bat was found in a room with a sleeping person, an unattended child who is not able to describe what happened, or a room with an individual under the influence of alcohol or drugs or with other sensory or mental impairment. ABOUT CLERMONT PUBLIC HEALTH: CCPH is a local government agency that provides public and environmental services, nursing services and education to Clermont County residents. For more information, visit http://www.ccphohio.org or call 513.732.7499. 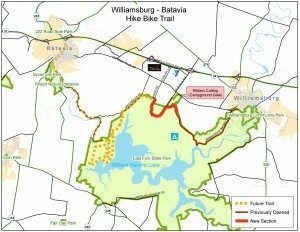 BATAVIA, Ohio (Oct. 8, 2015) — The newest segment of the Williamsburg to Batavia Hike/Bike Trail will open with a ribbon-cutting at 2:30 p.m. on Thursday, Oct. 15. With this segment, the trail is now 6 miles long. The trail, which will be 15 miles long when completed, is a combination of shared roadways and paved paths. It runs from Williamsburg to the East Fork State Park Campground and now to Zagar Road in Batavia Township. 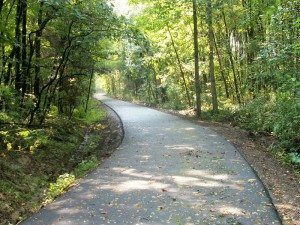 According to Chris Clingman, Director of the Clermont County Park District, “This newest segment of trail is reusing the roadbed of old Zagar Road, which was abandoned during the creation of Harsha Lake and East Fork State Park. Clermont County Engineer Pat Manger’s staff prepared the old roadbed for paving.” From Zagar Road, cyclists can connect to UC East and Clermont County YMCA via Curliss Lane and James E. Sauls Sr. Drive, he said. The newest segment of the trail was funded by a $50,000 grant to Clermont County Public Health from Interact for Health through its Physical Activities Environment Grant Program. The grant was designed to help complete trail linkages and to provide opportunities for underserved portions of the Tristate population to have access to areas for physical activity. “This adds a location for no-cost physical activity, which is one of the main objectives of the county’s Community Health Improvement Plan,” said Clermont County Health Commissioner Julianne Nesbit. To date, approximately $1.18 million has been raised for the bike trail through grants and fund-raising. Funding has come from federal Transportation Enhancement Grants, state capital project grants, townships and villages, as well as private sector donors including Peoples Bank (formerly National Bank & Trust), Dualite Corp., Duke Energy, and United Dairy Farmers. An annual winter fundraiser has contributed from $6,000 to $10,000 per year. “As each section of the Williamsburg-Batavia Hike/Bike Trail is funded and built we celebrate the collaboration and cooperation that is moving along with this awesome project, “ said Mary Ann Lefker, Mayor of Williamsburg. 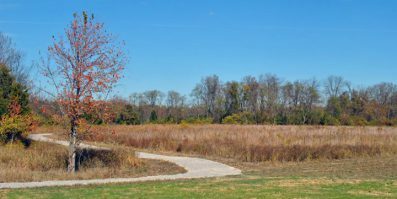 Batavia Township trustees are also excited about progress on the bike trail. Park District Director Clingman noted that “where most trails are relatively flat, this trail is like taking a ride down an old country road. It takes you past fields, through woods, up and down hills, across creeks to some of the most scenic spots in Clermont County. “Along the route there is an overlook of the East Fork River Valley, a wetland with observation deck, overlook of Harsha Lake, and a view of small waterfalls in Cain Run Creek, “ he added. WHEN: 2:30 p.m. Thursday, Oct. 15. Park at the East Fork State Park Campground gate; shuttle bus will start running at 2 p.m.
MISC: Following the ceremony there will be a walk on the newest segment and opportunity to take a short ride on a Bearcat bike; light refreshments will be available.